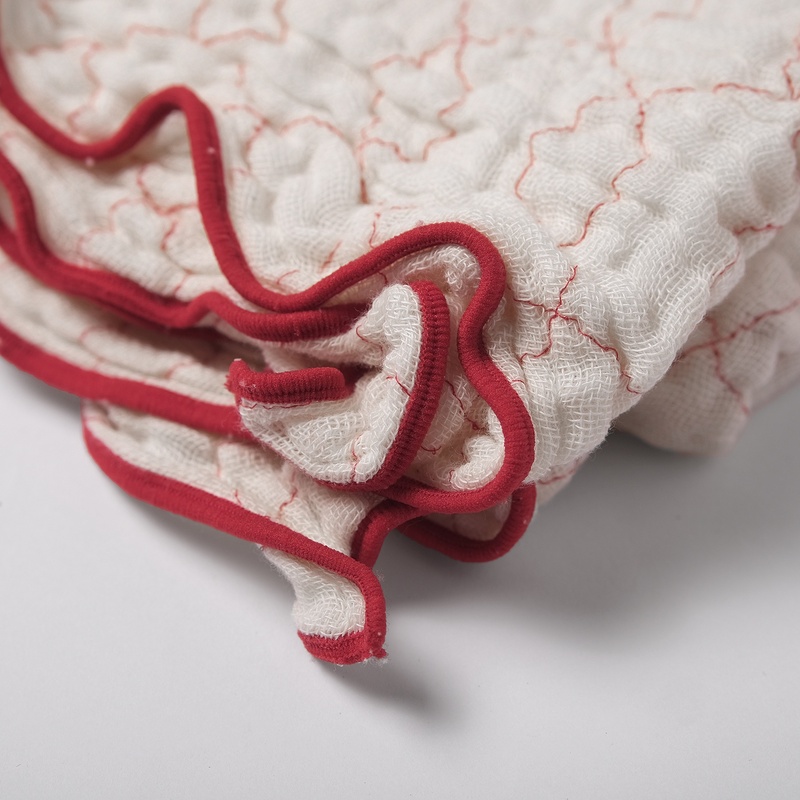 Nakagawa uses a cotton fabric formerly produced as mosquito netting (a specialty of Nara, Japan)to produce these quilted towels. Mosquito netting has declined in demand, due to changing lifestyles, but Nakagawa appreciated the fabric's absorbency and durability and reintroduced it in dish cloths and towels. 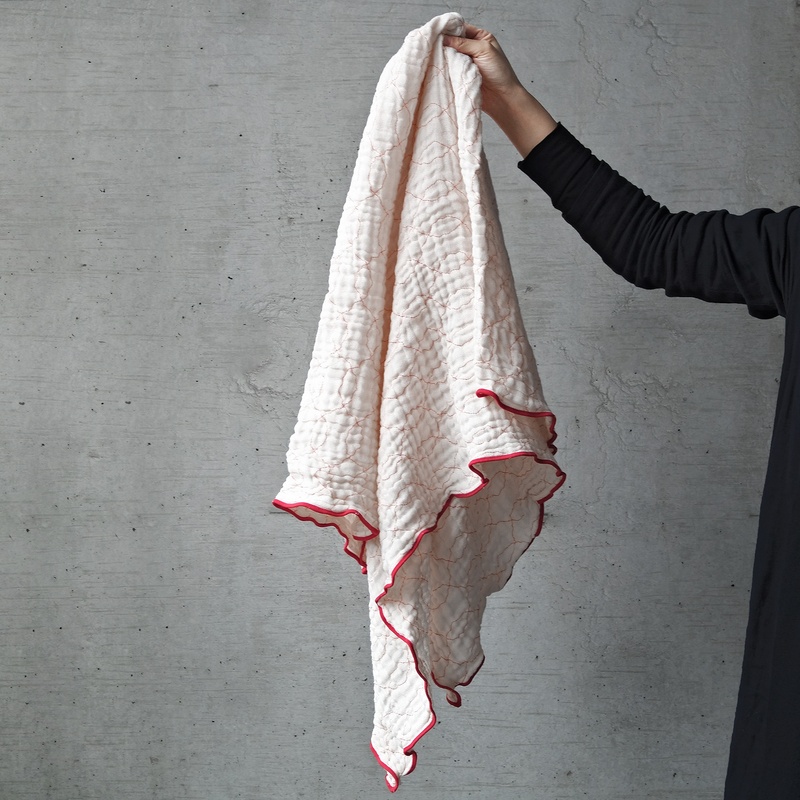 Four layers of thin fabric are sewn together to produces a towel that is soft and absorbent. 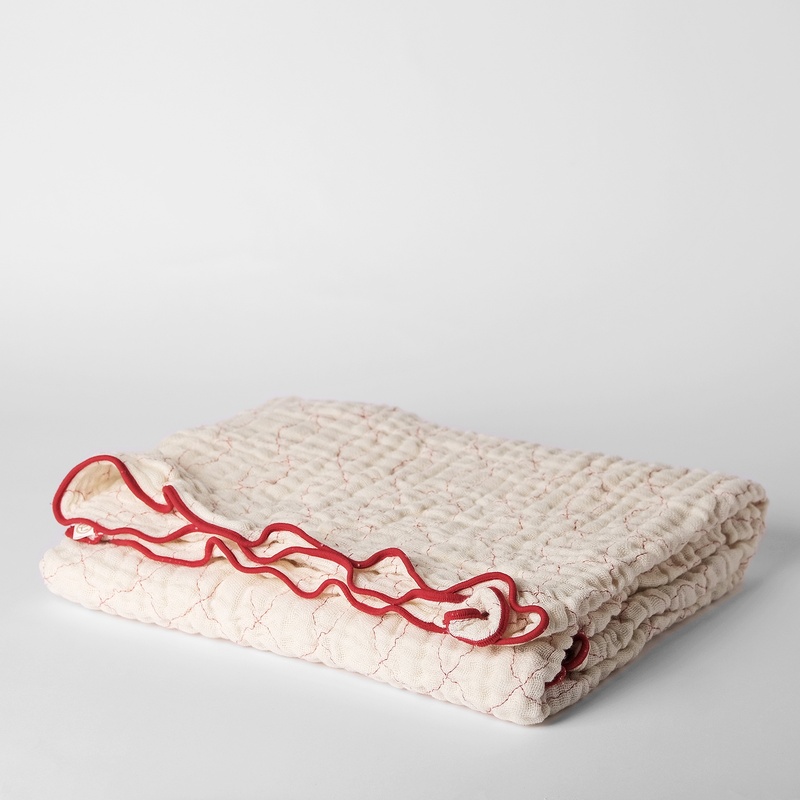 The fabrics loose weave allows air to pass through and the towels dry quickly. 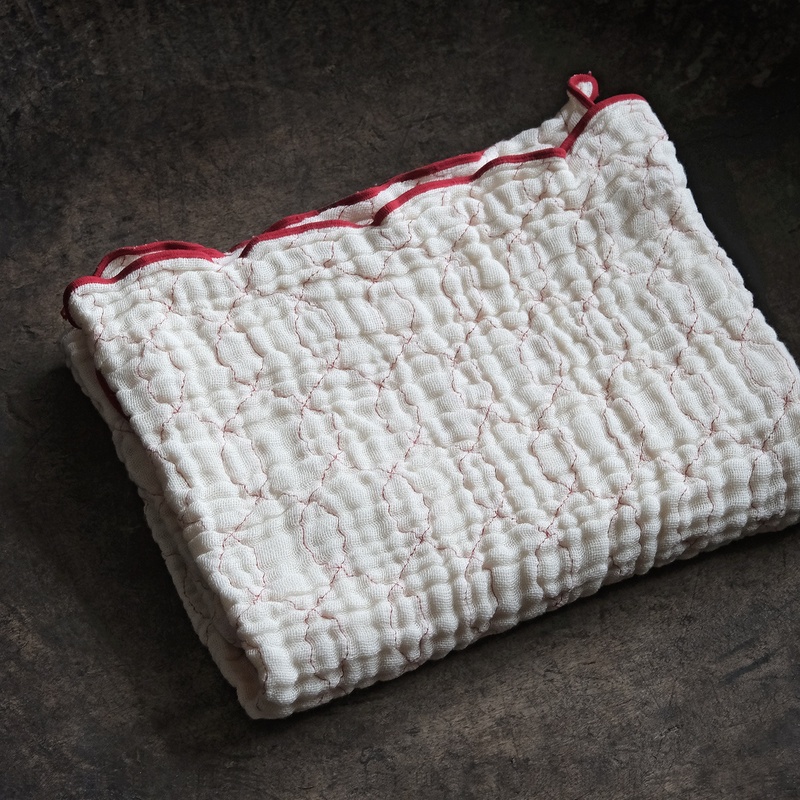 The quilted pattern is trimmed in red, blue or grey.